Bali Hotel Rich green garden as a jungle shows the long history. It is typical of the hotel that aged couples from western countries visit the hotel every year. 3 buildings of the hotel are connected by the corridor and they surround the courtyard. 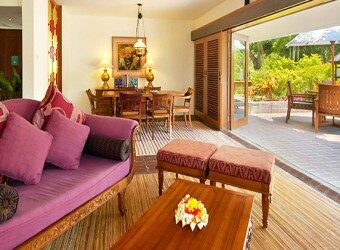 As staying of the resort, the ocean view rooms are popular, however, garden view rooms are also recommended.